← Is technology and the government actually taking over? When we all grew up, we always had our poster supercar. If you grew up in the 70s, it was a Miura, in the 80s, it was an F40, in the 90s, probably a Mclaren F1. I grew up in the 90s, early 2000s. I remember not really being a huge fan of the Mclaren, simply because it was just too good. Weirdly, I was more a Ferrari F50 man. But, during the 90s, there was also a significant supercar we all remember: The Bugatti EB110. It was the Veyron of its time (get the joke?). The first production car with a carbon fibre chassis (this was a time when manufacturers were still working out how to paint carbon fibre bodies! ), incredible power from a 3.5 litre V12 with 4 turbos, and the fastest production car ever, until the Mclaren came out 2 years later though. It was so advanced they even considered putting on carbon ceramic brakes. In the end, they didn’t, because at that time, ceramic brakes would have cost the price of the car. That just shows you how advanced the EB110 was! However, due to a financial crisis, the rival Mclaren, and the fact that it was not exciting enough, the Bugatti never sold in numbers, with under 120 being produced. However, that was not the car that fascinated me from 1999 to this day. In 1999, I remember reading a magazine where the rendering of a back quarter panel was shown. That rendering looked out of this world, I was intrigued. There was an air of mystery about it; words like revival, supercar, exclusive, 1000hp were thrown about. It was not the Veyron, but something much better, yet completely forgotten today. 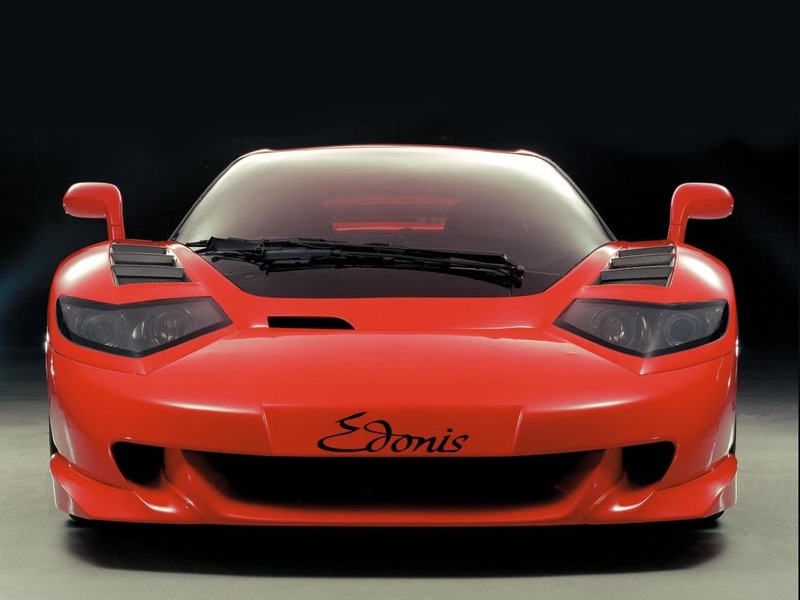 Revealed on the 1rst January 2001, the Edonis (from the Greek Hedoné, meaning pleasure) was built by B-Engineering in Modena, Italy. The man heading the company was Jean-Marc Borel, a Frenchman. 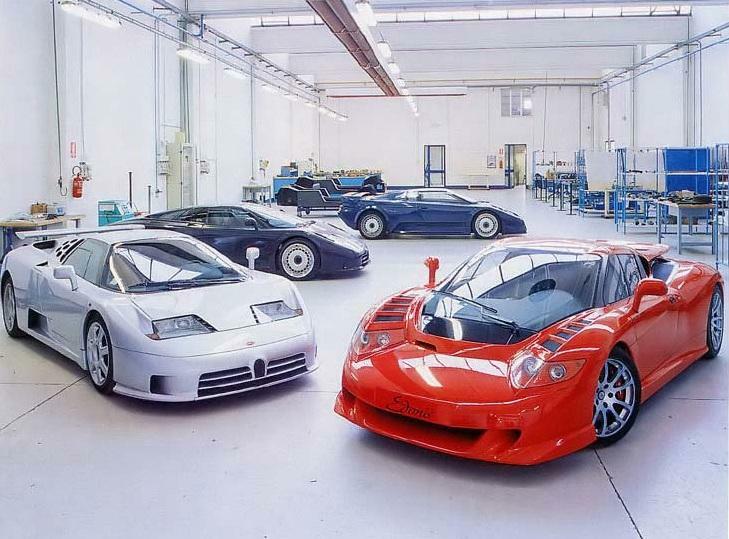 Now, you may have never heard of B-Engineering, but they were the group that worked on the Bugatti EB110 in the later years of its production. 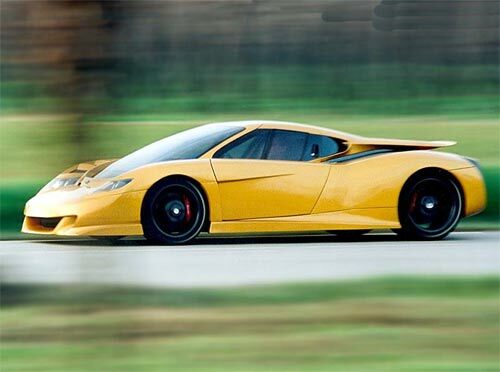 When the brand closed down, B-Engineering was formed, and they planned to do something special with all the knowledge they had gained from working on the EB110. They used some of the spare parts they had left, but a lot was custom made for their car. The result was the Edonis. The chassis was based on the EB110 Supersport unit but considerably improved. It was a carbon-fibre monocoque, something still very rare nowadays. By the way, that chassis was built by Aérospatiale, the company that makes the Ariane rocket ship! 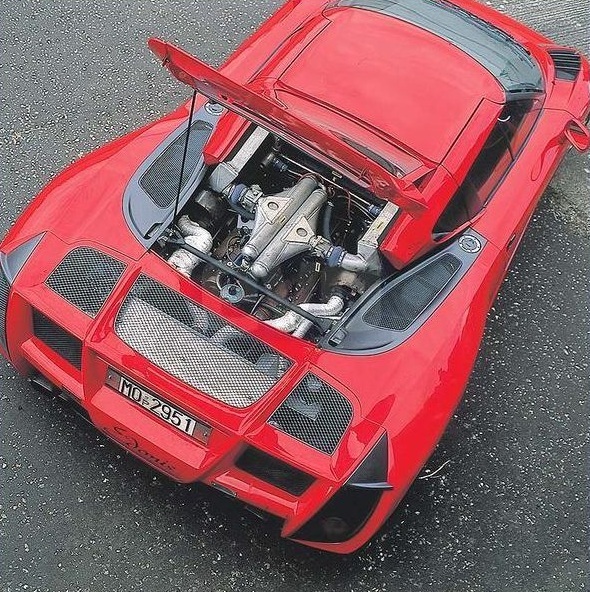 To power the car, they upgraded the EB110’s 3.5 litre V12, upping it to a 3.8, and putting two large turbos on it, instead of the 4 smaller ones. Gone also was the 4 wheel drive system, making for a 1.4 ton, 680bhp, rear-wheel drive shot of pure fun. All this power was managed through a proper six speed manual gearbox. For once, the name made perfect sense. It also made for a very fast car, with over 360 km/h being recorded at Nardo at one time. For added lightness, the body panels were hand beaten aluminium parts. With a figure of 523bhp per ton, it surpassed the new Bugatti Veyron by far. The car was so advanced; it used the new PAX Michelin tyres that were being developed for the Bugatti Veyron, a car that was going to come out 4 years later. All in all, it was a pure driving experience. The only electronic assistance was the ABS system. Driving it was an occasion, and the only problem reviewers at the time could find was the heavy steering. Working on the car were some of the greatest names in the industry. The project was co-designed and overseen by Nicola Materazzi, the man behind the Ferraris F40 and 280 GTO and the Lancia Stratos. The other designer was Marc Deschamps, an old Bertone employee. Heading the project were Jean-Marc Borel and Frederico Trombi, both ex Bugatti heads, with the help from ex-Bugatti engineers, who were picked from Lamborghini and Ferrari at the time, back in the day. Only 22 people worked on the project. On the face of it, the Edonis was to become the car the EB110 should have been, a pure performance car, focused on the fun of driving. It had the pedigree, it had the talent, it also had the looks. I thought it looked amazing and it was on my bedroom wall for quite some time. It was also extremely desirable, with only 21 being built and a price tag of €700,000. The production run of 21 was chosen to match the number of centuries we have lived. Each car was alleged to be individually named after the most famous inventor or artist of a specific century. Moreover, being revealed at midnight on the 1rst January 2001, it is also the very first car of the XXIst Century. The first production model was said to be produced in April 2001. The automotive press at the time were very enthusiastic on the subject, like this review from EVO. Since 2002 though, details are scarce. Their website does not exist anymore (sadly, you can even buy the domain name). Some sources state that production stopped in 2002 after only 2 cars being built, but was then restarted in 2006, with a new production facility in Turkey. I am not too sure about the Turkey part, as it was mostly based on a sighting of a red car, which some say belongs to a Kuwaiti businessman. I will keep on looking to see if I can find anymore information of what the cars have become, it is after all my childhood dream car. In some ways it is a great mystery, searching online only gives you the same two cars, the prototype, in a golden colour, and the production car, in red. The only solution I can see is just going to Modena and seeing if B-Engineering still exist. Some say they do, others claim they are gone. Just like the Bugatti Royale back in the day, that air of mystery surrounding the car makes it even more appealing. 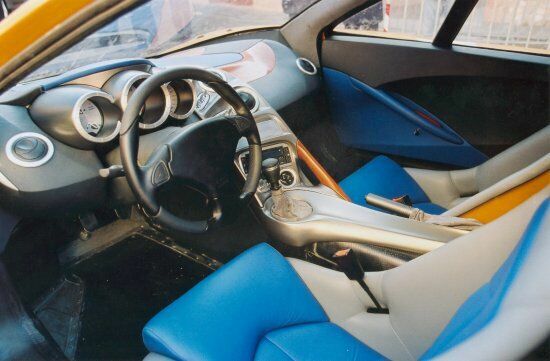 One thing is for sure though, the Edonis is truly amazing, and it still lives on, in spirit, in the Pagani cars. This entry was posted in Car reviews and tagged b-engineering, bugatti, car, EB110, edonis, fastest, Ferrari, lamborghini, mclaren, modena, v12. Bookmark the permalink.